Our Manchester office is a historic part of the WHIreland group, being where the firm’s founder, William Henry Ireland, began operating his stockbroking business. Serving the North West of England, the team manages wealth for individuals, trusts, pension funds, charities and corporates both as direct clients and via intermediaries and financial advisers in the Greater Manchester and wider area. The office employs people within the Wealth Management arm and remains the base for the group’s overall administrative activities. 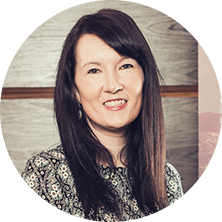 The team prides itself on high levels of customer service and benefits from a close working relationship and the significant resources available within the wider group. Our Investment Management team in Manchester is active in the local financial community, with involvement with organisations such as ProManchester, and the London Stock Exchange North West Regional Advisory Group. 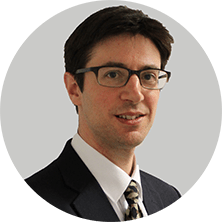 The office is headed up by Robert Race, who is supported by Deputy Head of Branch Andrew Shepherd, and Investment Managers Peter Clegg and James Peters. Robert Race, Head of Wealth Management in Manchester recently featured in Citywire Wealth Manager’s piece on handling sterling exposure. We were delighted to welcome the Mayor of Salford to our new offices at One New Bailey. Robert is a Chartered Fellow of the Chartered Institute for Securities and Investment, and a Chartered Wealth Manager. He joined WH Ireland Limited in 2014 as Head of Wealth Management at the Manchester office. 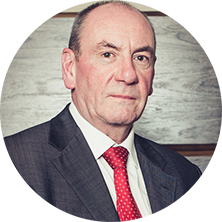 Robert has over 30 years’ experience advising a number of high net worth individuals and families, trusts and charities across the UK. 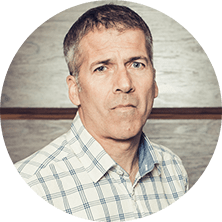 As well as being Chairman of the North West Regional Advisory Group of the London Stock Exchange, Robert chairs the Board of Trustees of the Wood Street Mission, the Manchester children’s charity. He has previously chaired Pro Manchester, the corporate membership organisation representing the financial and professional service community in and around Greater Manchester. 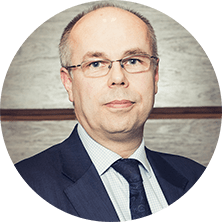 Andrew is a Chartered Fellow of the Chartered Institute for Securities and Investment and Deputy Head of Manchester Wealth Management and is responsible for the management of trust, corporate and private client assets. 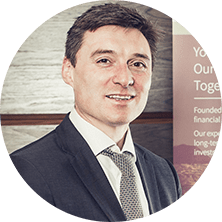 Andrew chairs the Group’s Collectives Committee and is a key member of the Asset Allocation and Portfolio Construction Committees. After attending Hayward High School in Bolton, Andrew studied and attained a BA (Hons) in Economics from the University of Sheffield and was awarded the Clayton Prize for Economics on graduation. Andrew began his career in 1998 as a Portfolio Manager with Capel Cure Myers, which later became part of Barclays Wealth. Andrew subsequently joined WH Ireland Limited as Associate Director in 2008. John is a Chartered Member of the Chartered Institute for Securities and Investment, and holds the CISI Diploma. He is also a CFA Charterholder. John is the head of Private Client Research. John read Classics at Durham University, and attained a Master’s Degree in Business and Management from the University of Strathclyde. 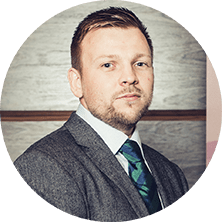 He began his career trading for Spreadex, before moving to Tilney in 2005 to work in investment management. John joined the Private Client Research team at WHIreland in 2007. Luke is an Affiliate of the Chartered Institute for Securities, and is a member of the CFA UK. He holds the IMC and has attained a degree in Financial Economics from the University of Leicester. 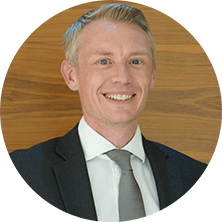 Luke joined WHIreland in 2010, having previously advised institutional investors within the alternative asset industry. Luke now provides investment research to the Wealth Management Division and helps coordinate WHIreland’s investment process.